When anything new comes to the market there is typically a debate about whether or not the new product or technology is better than the old one. It should come as no surprise that there is similar confusion about the variances between older LED/LCD and the new OLED display technology. OLED, or Organic Light Emitting Diode, has been created with organic compounds which cause the diodes within a display's screen to self-light. A traditional LED creates light by the movement of electrons through a semi-conductor. The major difference between older LED displays and newer OLED displays can be summed up in one word: organic. A traditional LED display is in fact an LCD display with back or side LED lights, while OLED displays do not require this extra light source. When comparing the image quality produced by the two screen technologies, OLED displays will typically come out on top. Being able to maintain a darker and deeper black color is one of the more important factors as it will create more contrast. Truer blacks also mean that other colors appear more vibrant. For an example comparison, reference the following image provided by LG. Notice how the OLED displays appear to have more contrast and richer dark tones than the LED/LCD screens do. NOTE: An OLED TV is often superior at maintaining a more vibrant image. There are, however, many other factors that ultimately determine the quality of a TV's image. An LED TV or display has to rely on LED lights being behind or around the edge of the LCD panel, and so the resulting light bleed often produces more washed-out looking dark tones. An LED display, however, will typically be the brighter of the two, however the new OLED models have vastly improved on their Brightness output. The simple fact that LCD/LED technology has had so much more time to mature means that the television sets which incorporate it often also sport features that are yet to be adapted to OLED. There again, the new Models are rapidly closing the Gap. When it comes to size and power consumption, an OLED display will inherently have an advantage over its counterpart. The panels are very thin and of course do not require back-lights, making them far lighter in weight than a comparable LCD screen. Without the need for back-lighting they require a considerably less amount of power to function. Want the best in OLED TVs? The biggest drawback of an OLED TV is most certainly the cost of purchasing one. As the technology is newer and typically considered more advanced, the price point is generally higher than that of of LED displays would be. If your funds are limited, an LED TV is going to be a more sensible choice and will get you more bang for your buck. TIP: For the amount of money you would spend on an OLED TV, you can typically purchase a larger, more feature-rich LED screen. If size is your primary consideration, you might favor an LED TV. 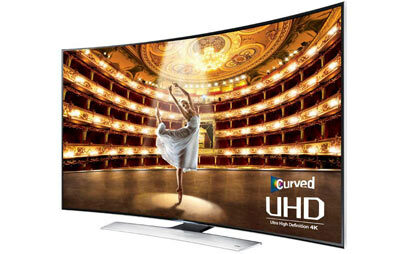 LED TVs are available in sizes up to 110'' while the current largest OLED display is 77''. While the technology may have some limiting factors, the future is certain to bring larger and larger screens to market in both formats. Lifespan should also be considered carefully when choosing a TV or display. OLED technology is still relatively new and researchers and developers are working hard to iron out and overcome some of the initial constrictions inherent in the tech. LCD/LED technology, however, has proven itself by the many years it has been in the marketplace and is known to generally have a lengthy lifespan once it is taken off a store's shelf. 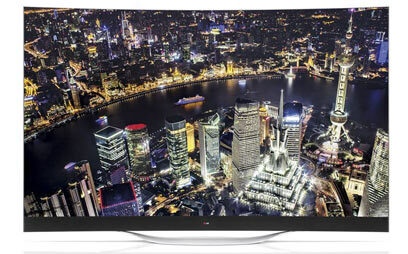 Want the best in LED TVs? So Which Type of TV is Better?! What this decision really boils down to is budget and personal preference. Shelling out the additional cost for an OLED display might not be the practical thing to do for every family, but the desire to own the best new tech can outweigh such thoughts. If you're the type that loves to be on the leading edge with the latest and greatest gadgets, or if you are out to Build the Ultimate Home Theater, OLED might just be a perfect fit for you. It is certainly the wave of the future.